Remembering the Man and the Dream: Rev. Martin Luther King Jr.
Today marks the 50th anniversary of Martin Luther King Jr.’s assassination. 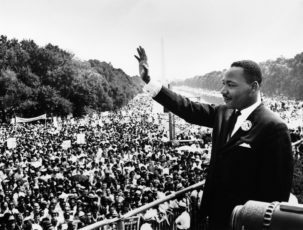 Up next on the program, we honor Dr. Martin Luther King Jr with conversations featuring Alice Walker, Gary Younge and some of King’s most memorable speeches. we play a number of speeches of Dr King. One is King speaking to youth at a middle school in Philadelphia. The other is him speaking at in August 1967 about his entrance into the civil rights movement.